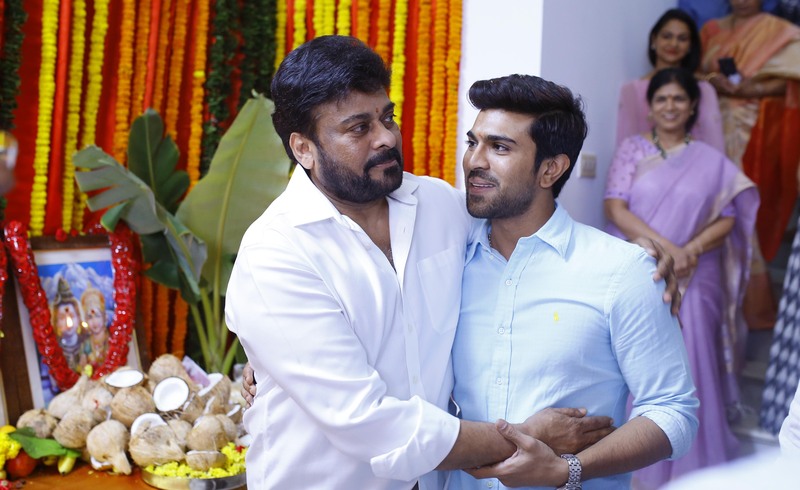 Ram Charan, alongside his mother, Surekha Konidela, launched their in-house brand, The Konidela Production Company today at their new office. 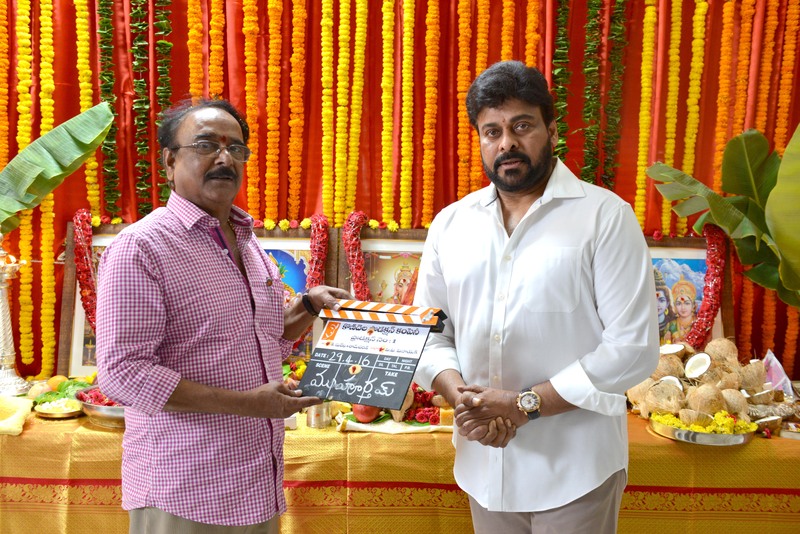 Their first venture would be the much-anticipated Megastar Chiranjeevi’s 150th film which is directed by V.V. Vinayak. The project has already hit the floors and will be a remake of the Tamil superhit Kathi. 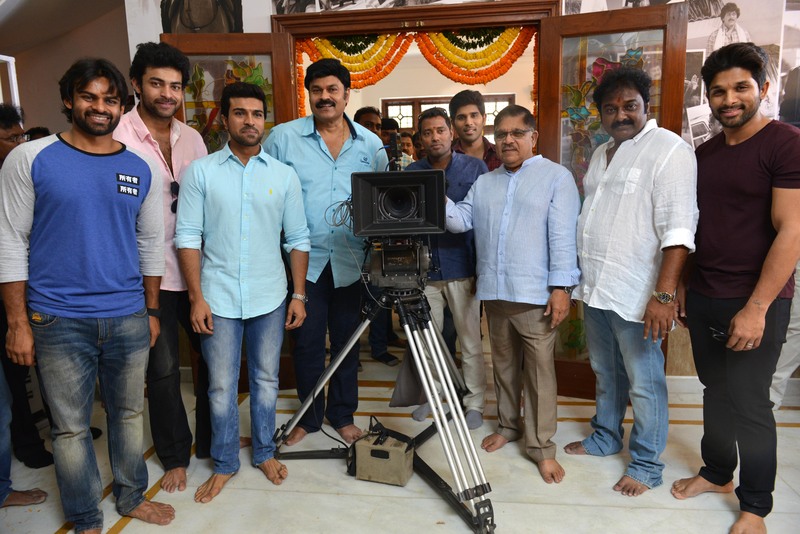 Allu Arivnd garu powered on the project during it’s first shot which was directed by Naga Babu. The shoot began with it’s first clap by Paruchuri Venkateshwara garu. The music will be done by Tollywood’s rockstar DSP and Rathnavelu takes the onus of Cinematographer of the project. The film is aimed to be a Pongal 2017 release. 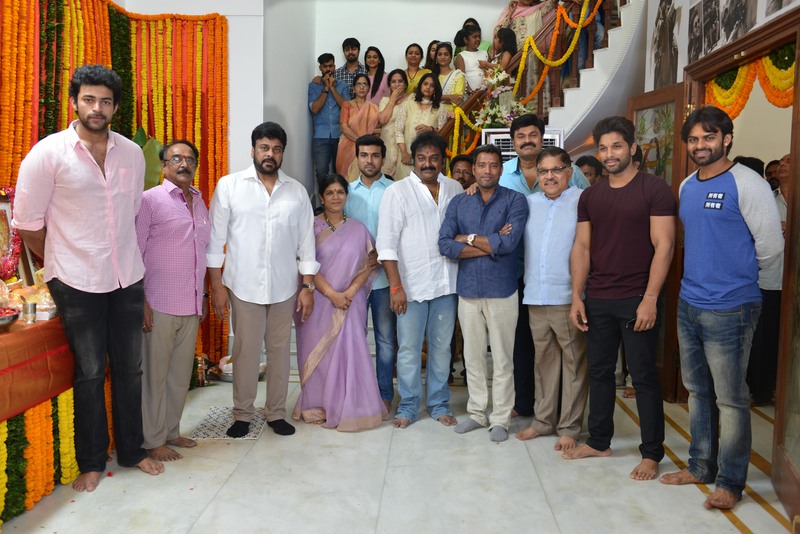 The private launch event, held at Konidela Production Company’s office, was graced by Industry stalwarts Allu Arjun, Varun Tej, Sai Dharam Tej, Naga babu, Allu Arvind, Koratala Siva, Sharath Marar, Gemini Kiran, DVV Danayya, Thirupati Prasad, Paruchuri Venkateshwara and family members. The function was a candid and traditional affair with celebrated with immediate family and friends.